Founded in 1776, The Philadelphia Pigeon is a publication that is rich in history and tradition. From our first published article, entitled “Wow! 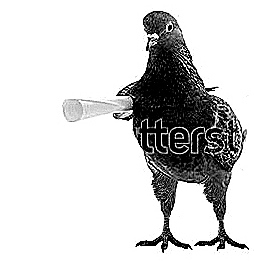 Click To See 56 Men Who Signed The Declaration Of Independence”, The Pigeon has been setting the standard in local journalism. The Pigeon name came about after an unfortunate accident. When it came time to spread the first round of newspaper vending machines across the city of Philadelphia, the paper resorted to a then-common method of delivery – Pigeons! We tied 19 Pigeons to each vending machine, and ordered the Pigeons to spread them across the city. Unfortunately, the newspapers, chock-full of hearty stories and excellent content, weighed too much! The pigeons passed away after several hours of struggling. Still, the sound of over 1,400 pigeons struggling to survive attracted much attention, and before too long, millions of Philadelphians had stopped by to pick up a publication. Not even The Pigeon logo came easily. The rightful ownership of our historic image was hotly contested by Lord Henry Shutterstock III. Luckily, the publication literally met “Shutterstock” in the middle, and maintains the logo today with only half of the Shutterstock name included. The battle to maintain the best journalism on the planet was not always easy for The Pigeon. In the early 1800’s, The Pigeon offices came under several vicious and destructive attacks from the Quakers, who sought to violently destroy any publication that criticized the government. Though much has changed in the media landscape since then, the superlative work emanating from our printers has remained the same. You may have never heard of The Pigeon. If that is the case, it’s because you are not well read. Everybody should have heard of The Pigeon by now, and you are lucky to read it. Journalism of this quality is a gift. We anticipate that you will enjoy the content and visit our sponsors! Thank’s!